Only composed of old Cognacs from the Claude Thorin vineyard, coming exclusively from the Grande Champagne area. Copper color. Subtle touches of tobacco, cigars and dry fruits with a hint of spices, cinnamon, and nutmeg. 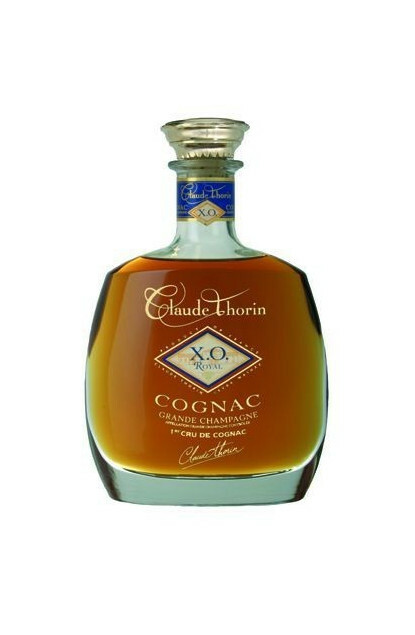 The Claude Thorin vineyard, located in Grande Champagne de Cognac, classified Premier Cru from the region was founded by André Thorin in 1950, and is currently managed by his son Claude. This vineyard spreads on a hundred hectares and the wineries that shelter its cognacs are more than a hundred years old. A Cognac whose fragrances are greatly appreciated by cigar connoisseurs. Empereur XO, the flagship from the Daniel Bouju House, 100% Grande Champagne.